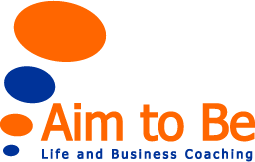 As a Life and Business Coach I focus on supporting individual and business clients achieve personal success and fulfilment. My international experience enables me to have an open minded approach to provide the attitude, mindset and skills needed to empower others to achieve their goals. After eight years in the communication and financial services industries, the time came to realign and live my dreams. I knew that I wanted my career to involve helping others in some practical and rewarding way. I was always told that I would make an excellent counsellor and shied away from it as I felt it focused too much on the problems and the whys rather than the solutions and what’s next. This is where coaching came into play. With Coaching I found a way of partnering with people who want to move forward and excel and Aim to Be the best they can be. The skills and experience I gained from my previous career guide my current work as a Coach. I have always been involved in interacting with people, making sense of complex information and helping individuals and teams implement change. In effect, I have been coaching informally for many years, developing staff, mentoring, training, managing teams, helping friends and just generally being that “go to person”. In terms of qualifications I am a certified Coach and have been trained by Results Coaching, one of the few coaching schools worldwide that offer an Accredited Coach Training Program from the International Coach Federation, of which I am a member. I am also a Belbin Team Role Accredited Associate. As well as a Diploma in Neuro Linguistic Programming I hold a Joint Honours Degree in Business and Economics from The University of Edinburgh and am TEFL qualified. For me Coaching is not just a job, it is my passion. As a Coach I use many tools and exercises to help my clients understand their current situation, identify their goals and achieve them. If I were to work with you, we would go through an engaging and valuable process and we can begin whenever you are ready. Find out what clients say about working with Ana Antunes da Silva. Empower and motivate you to clarify and achieve all you Aim To Be and live life to the full by supporting you in developing personally, emotionally and professionally. My personal pledge is to give you total and undivided attention. My coaching methods bring into play self development tools and techniques. 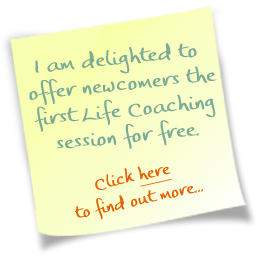 Using powerful questions I will guide you towards the realisation that you have the answers within you. By building a relationship of trust and commitment I will act as your mirror and sounding board. I have an obligation to myself and the coaching community to be an ethical coach and adhere to the ICF’s Code of Ethics. Part of this ethical stance is to keep all information confidential and put your needs above any personal interest of my own.